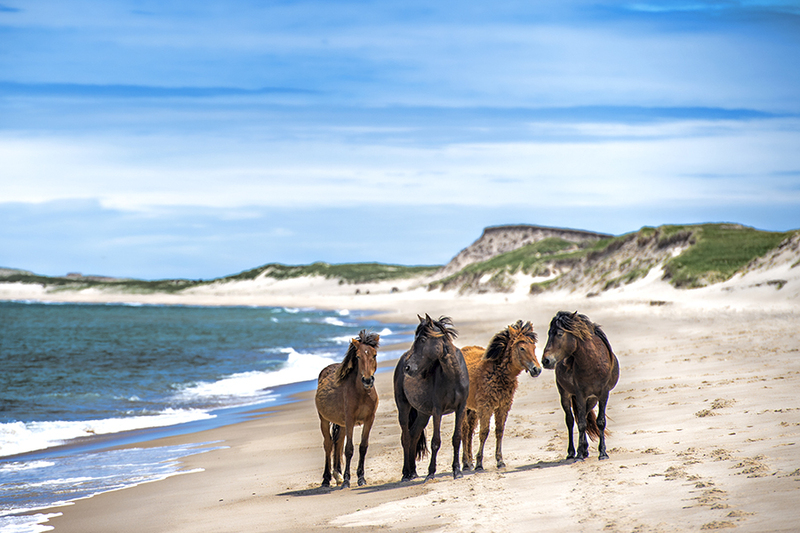 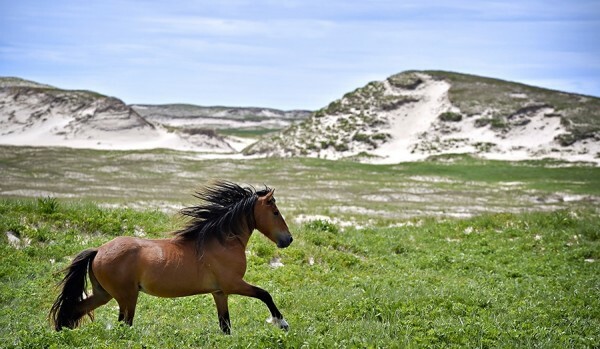 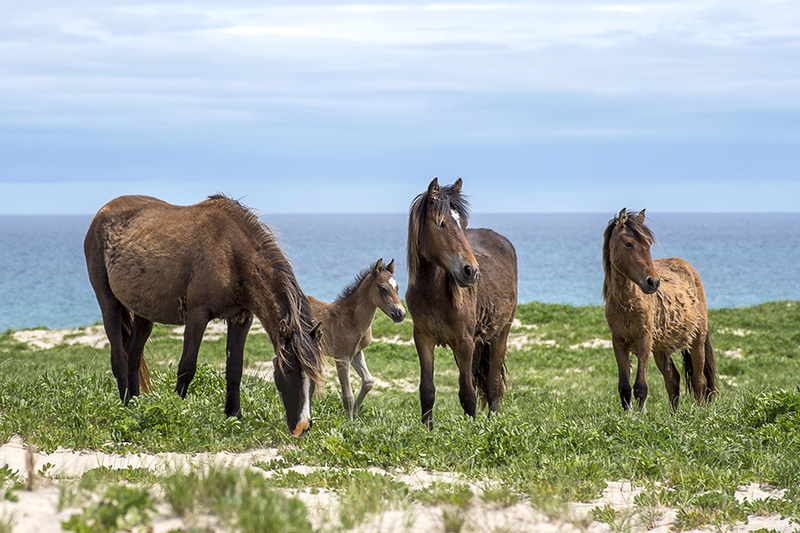 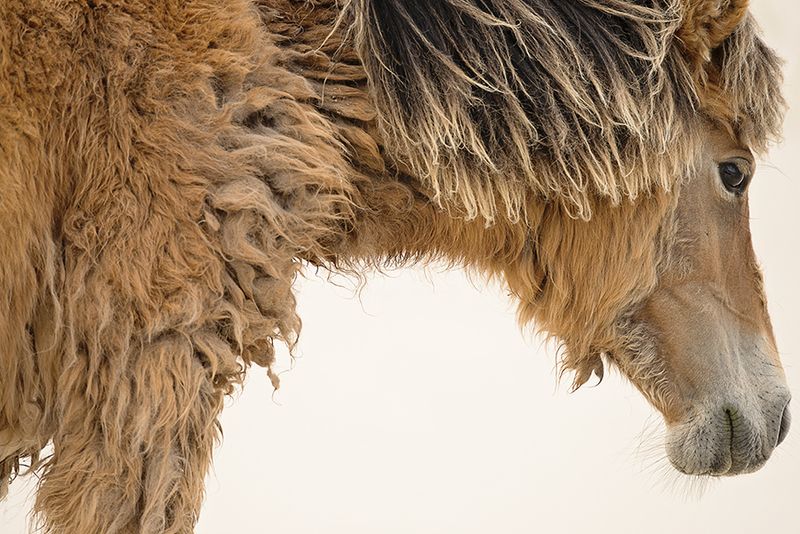 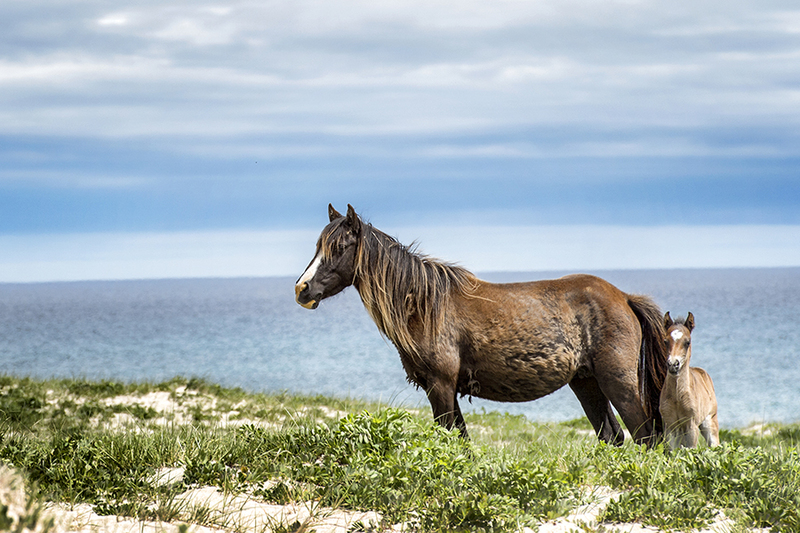 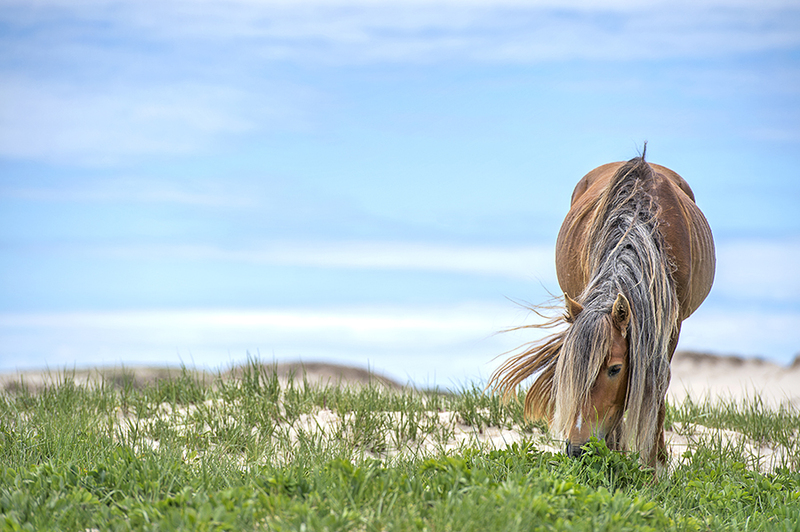 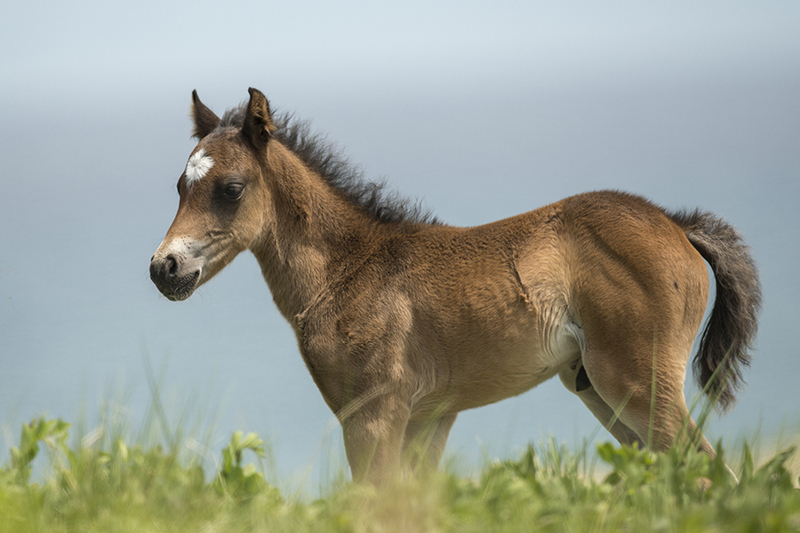 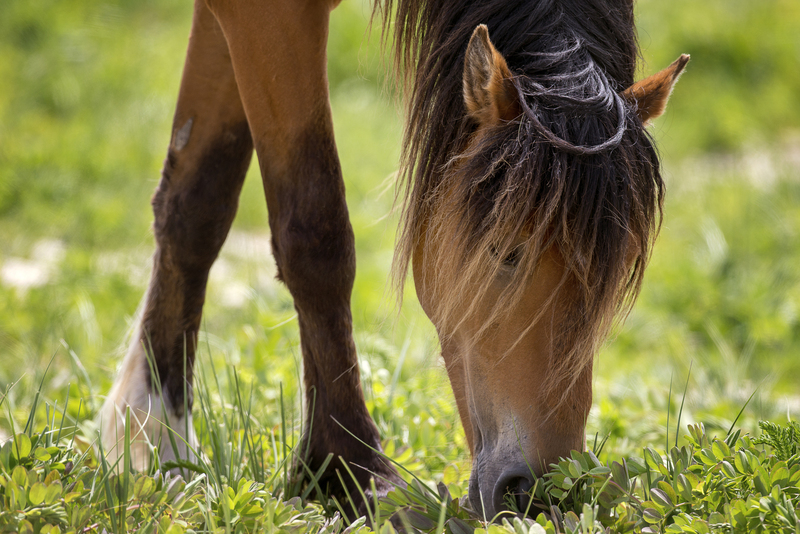 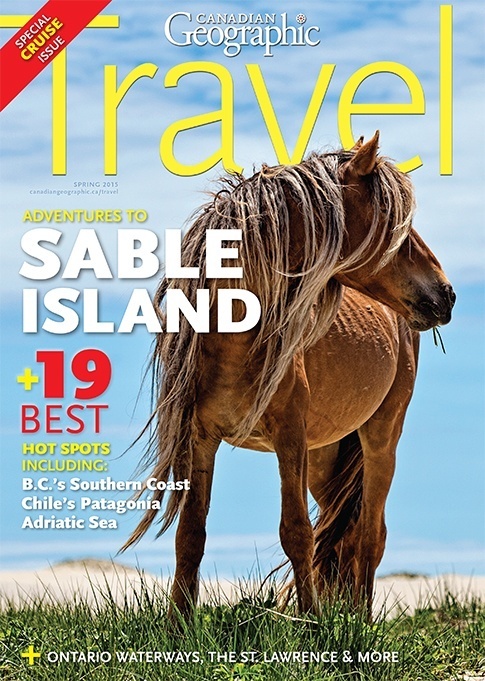 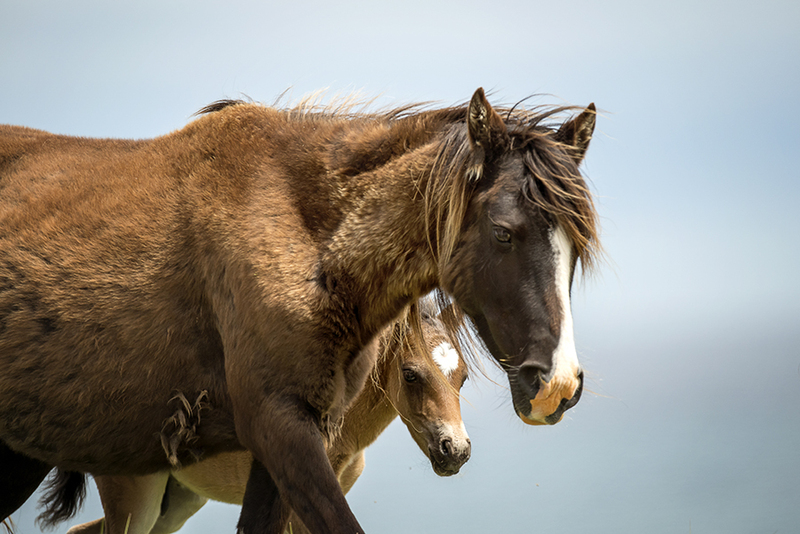 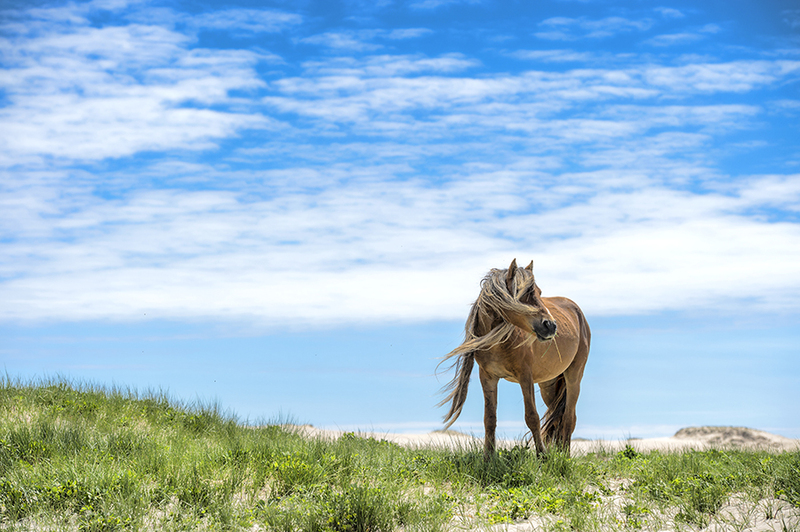 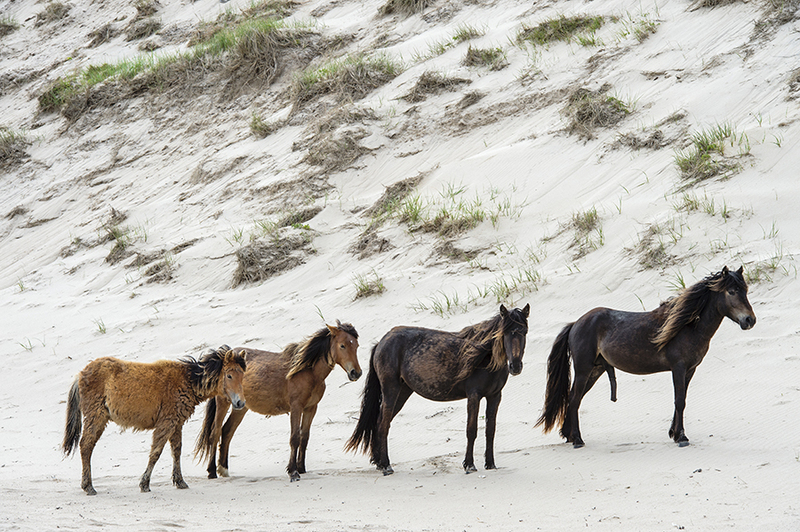 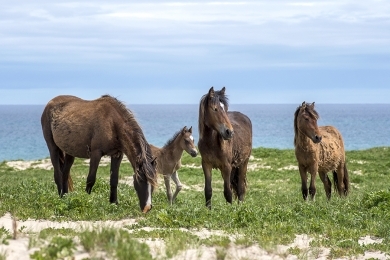 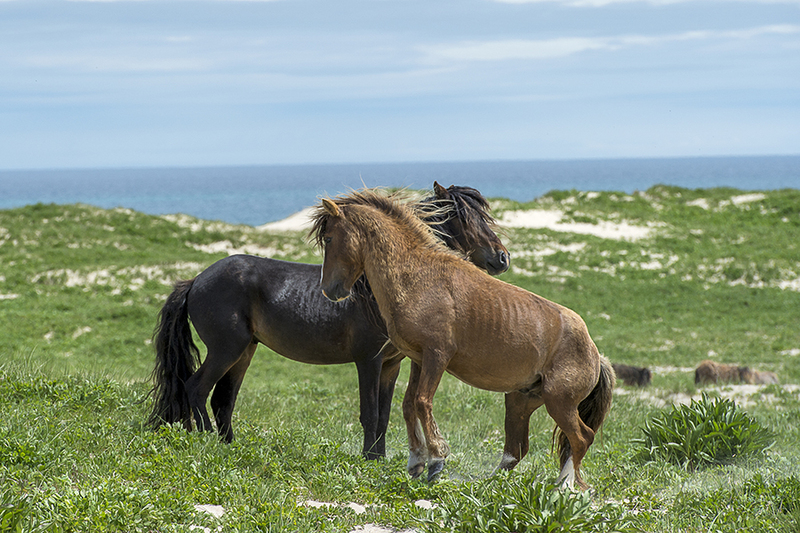 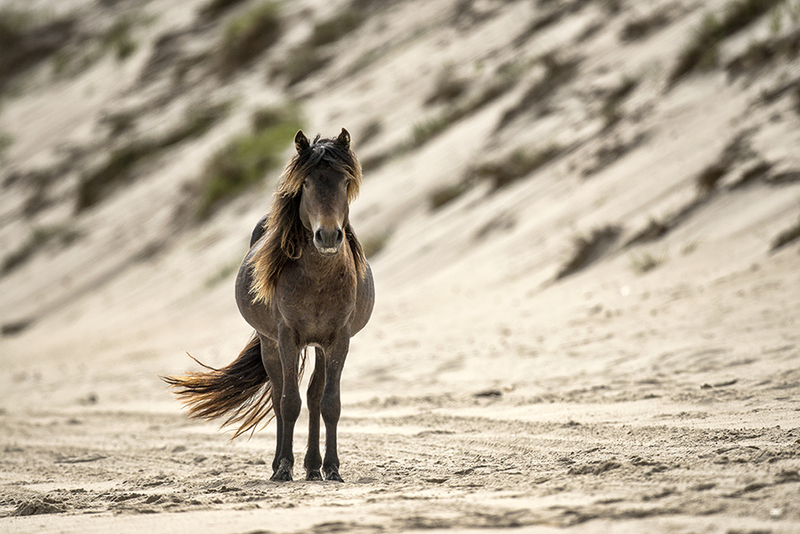 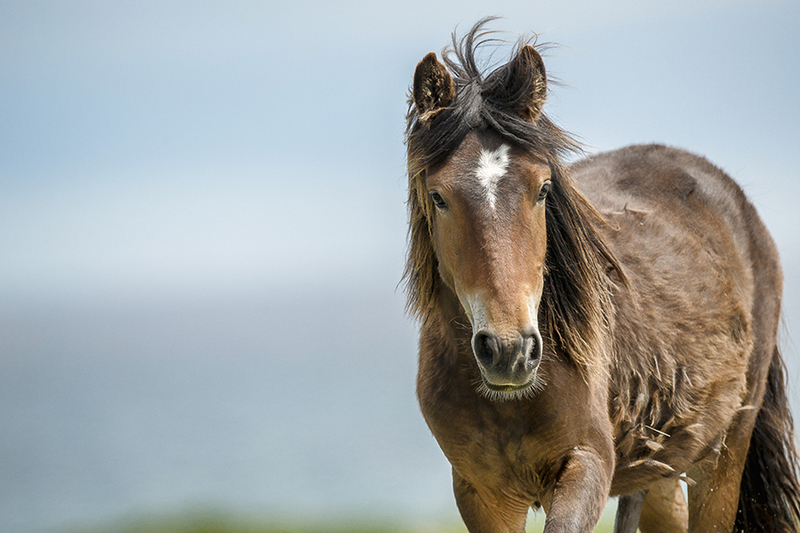 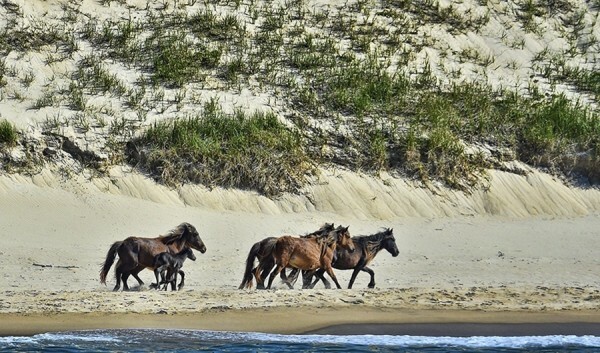 Sable Island’s feral horses are world-famous, but there’s so much more to this remote sand island off the coast of Nova Scotia. 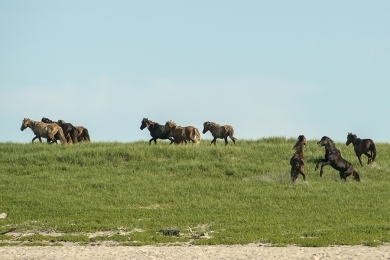 The world’s largest colony of grey seals breeds here, as does the rare roseate tern and the endemic Ipswich sparrow, among many birds of note. 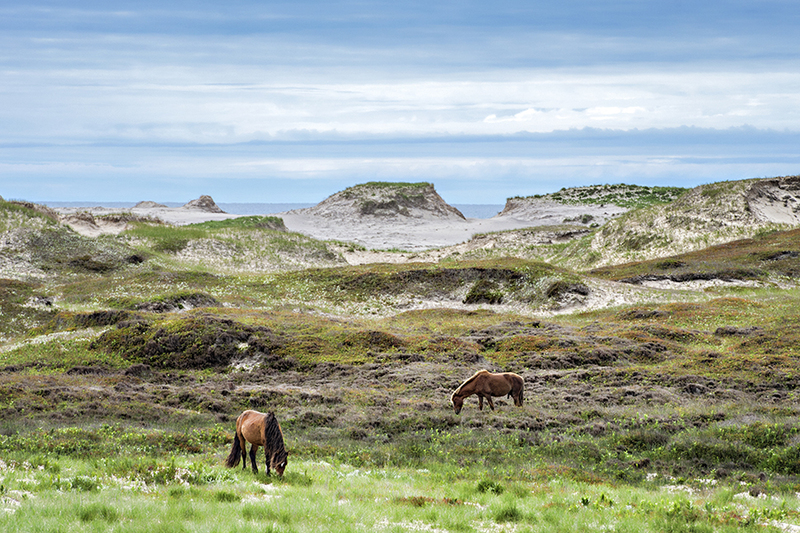 Amid the island’s forty-two kilometres of beaches, dunes, and bogs you’ll find a plethora of plants: from iris, to sundew, to wild berries in abundance. 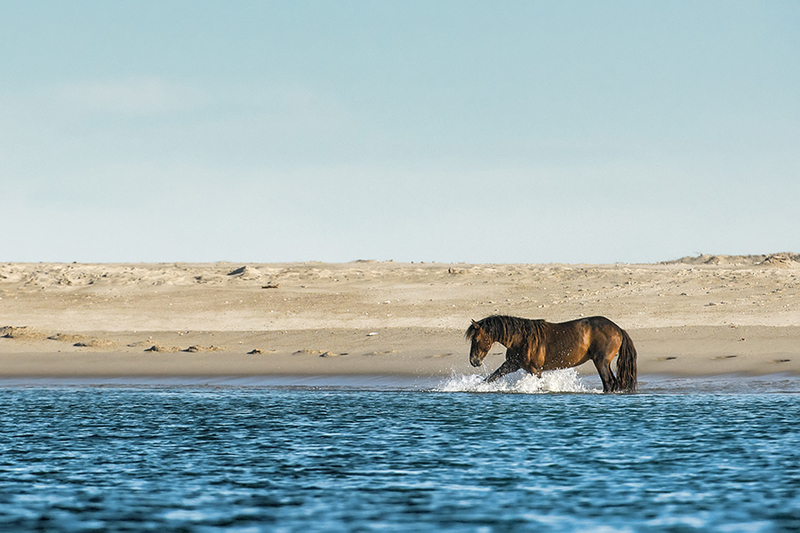 Whales and sharks ply the nearby waters. Sable Island’s history includes shipwrecks and salvage; sealing and walrus hunting; rescue and research. Still, the horses remain the island’s most charismatic residents. Free to roam, they represent one of the world’s last wild equine populations and their spirited antics are truly a sight to behold. 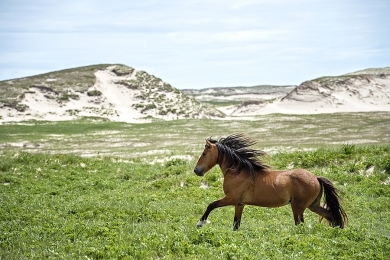 Now protected as Canada’s forty-third national park, Sable Island offers an experience unlike any other. 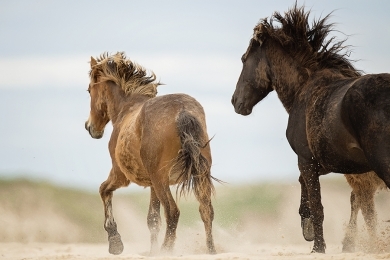 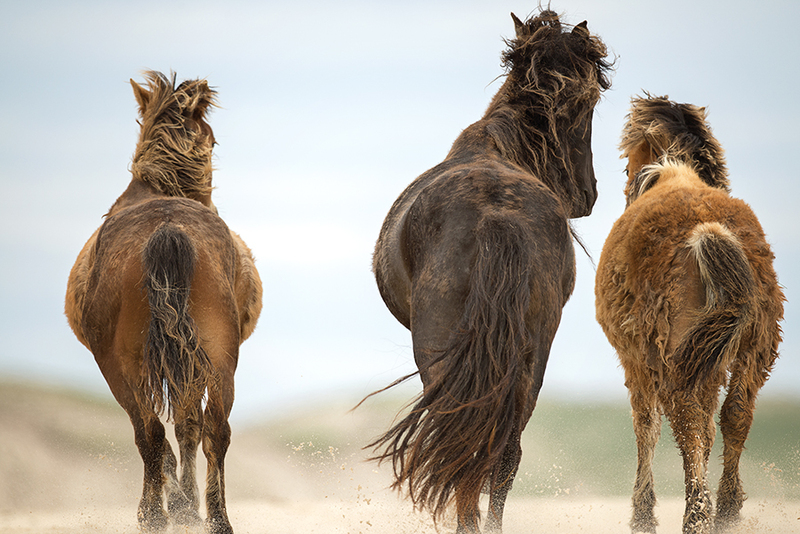 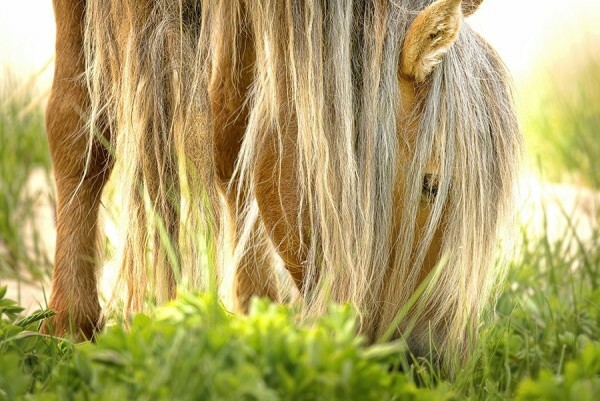 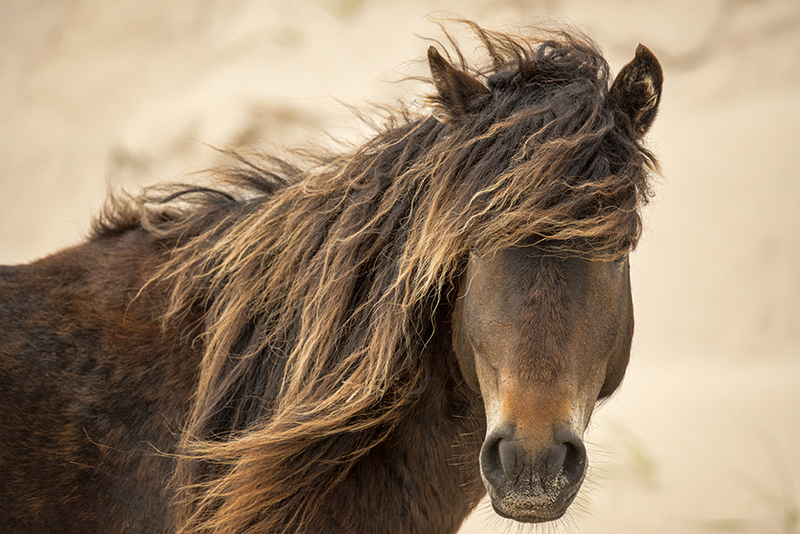 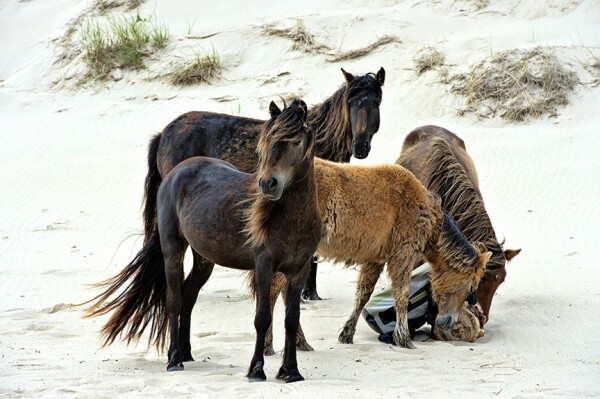 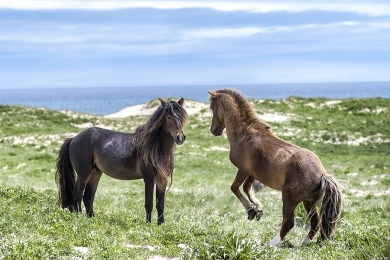 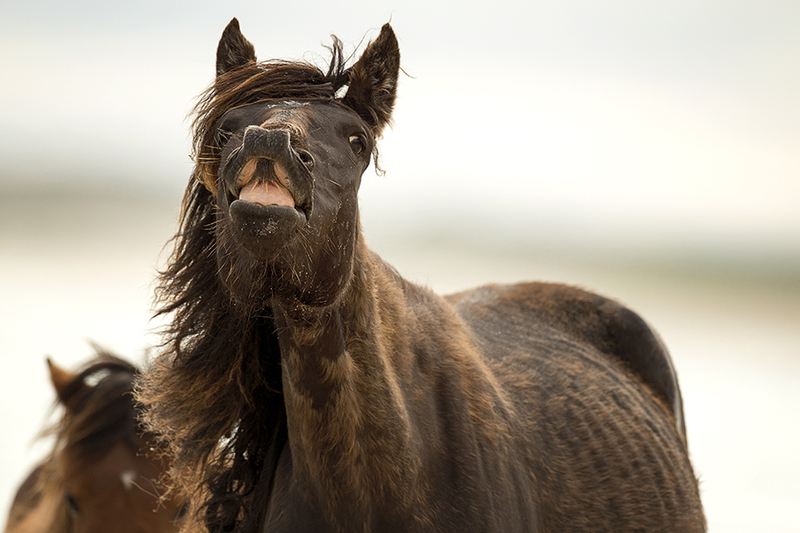 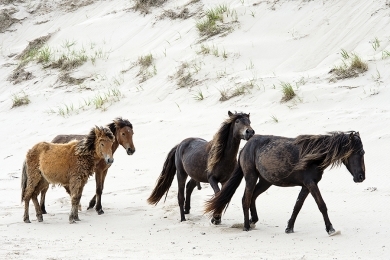 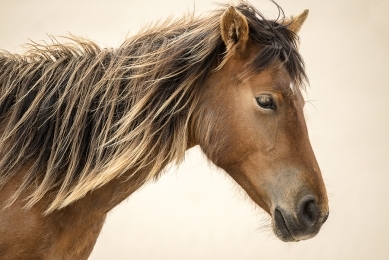 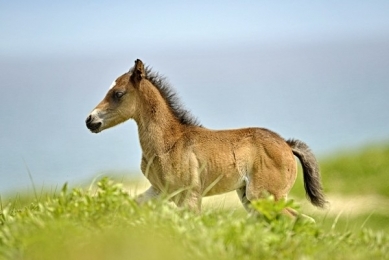 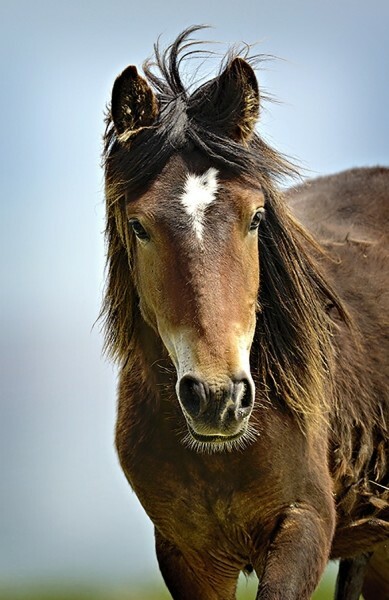 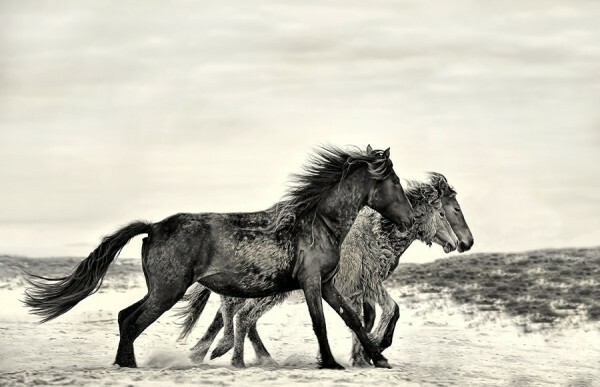 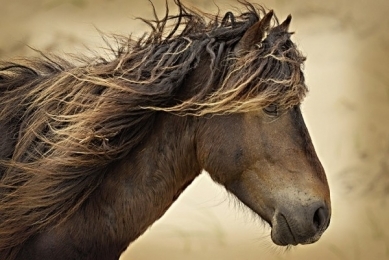 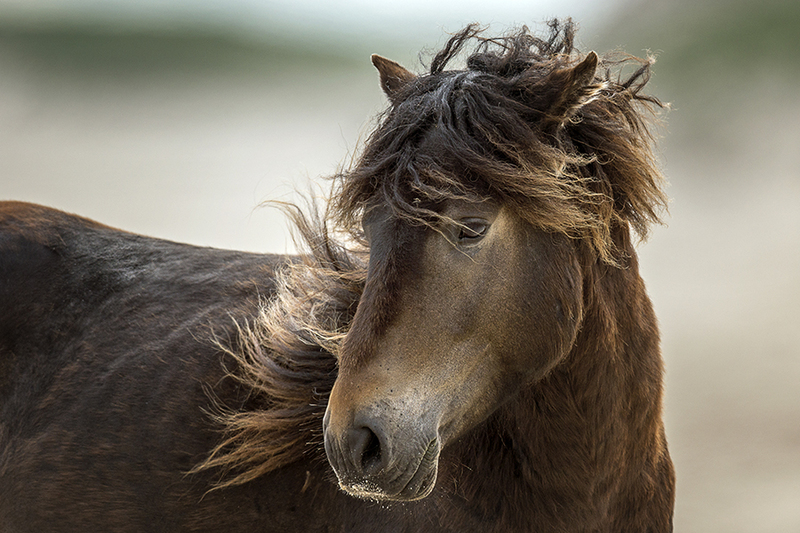 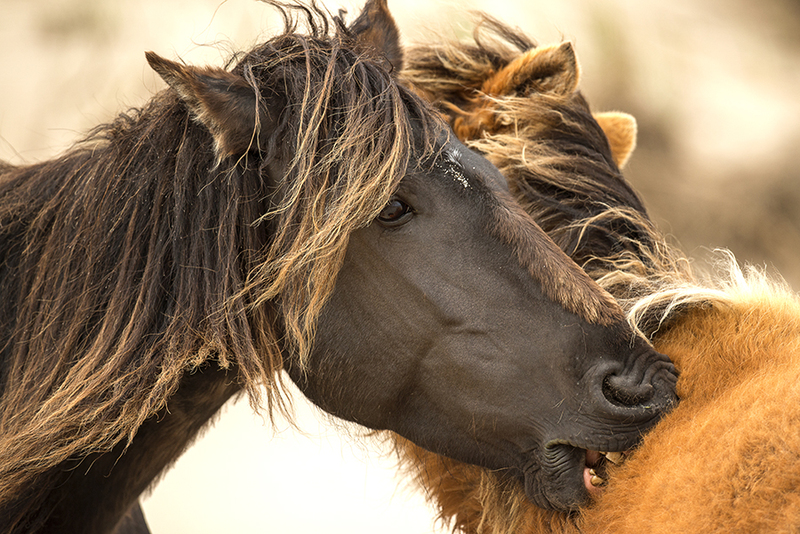 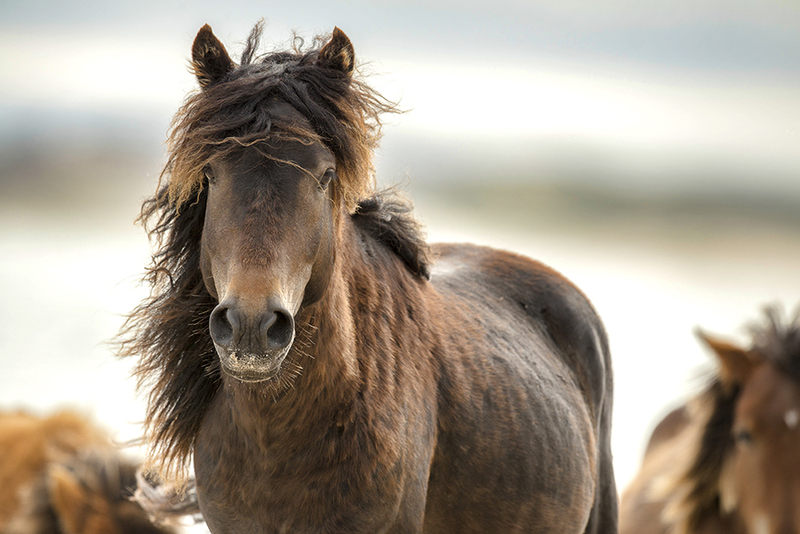 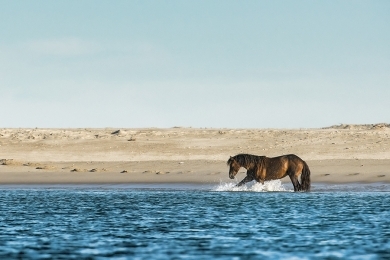 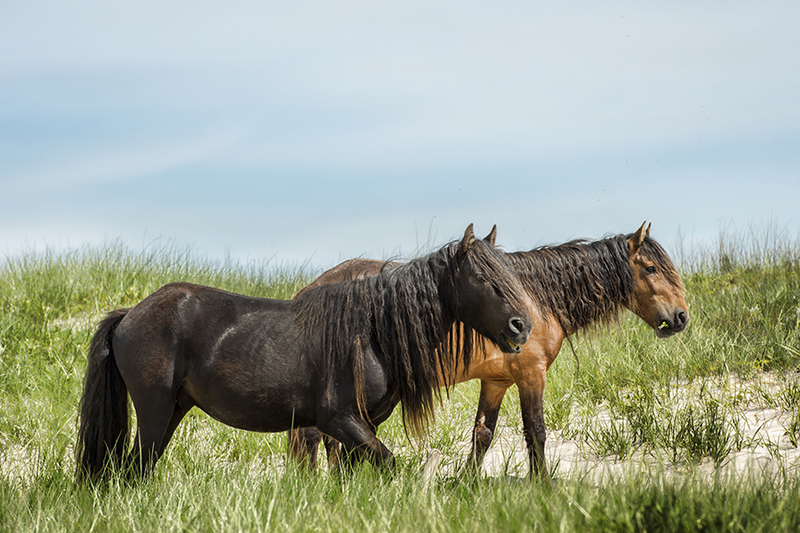 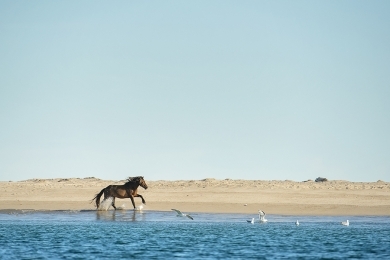 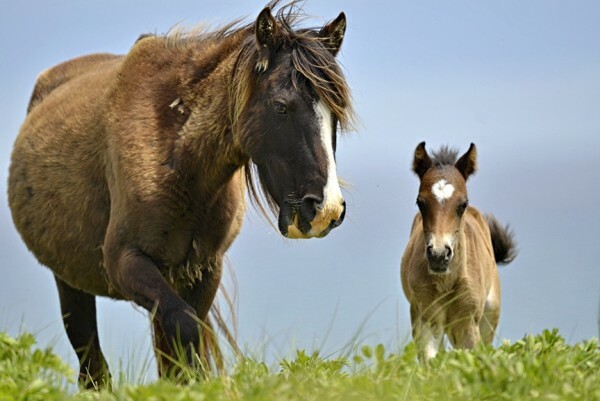 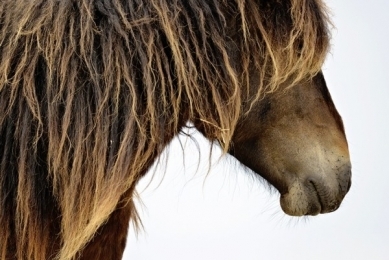 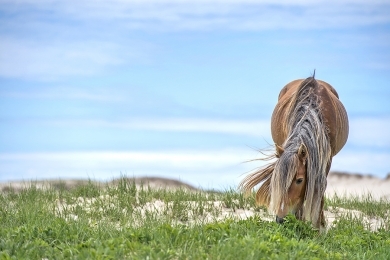 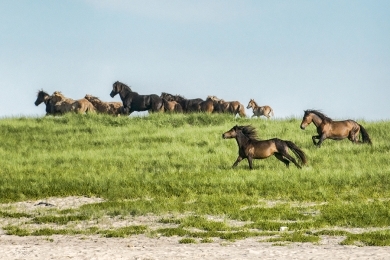 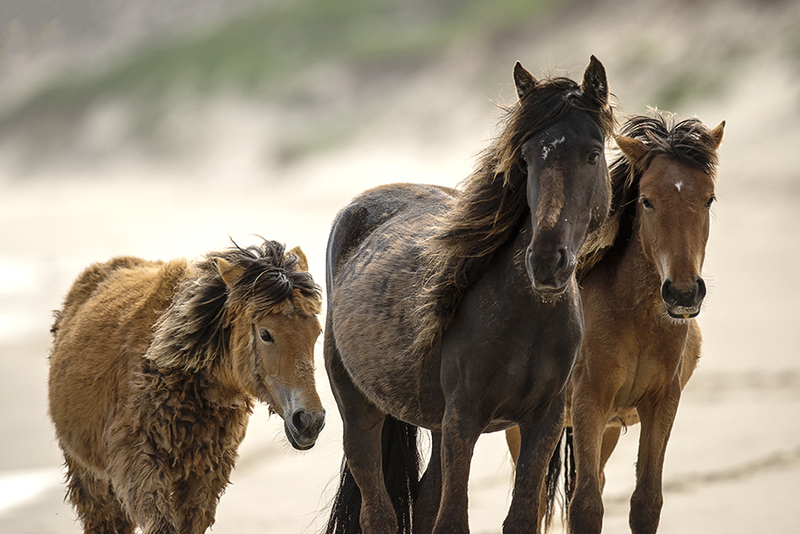 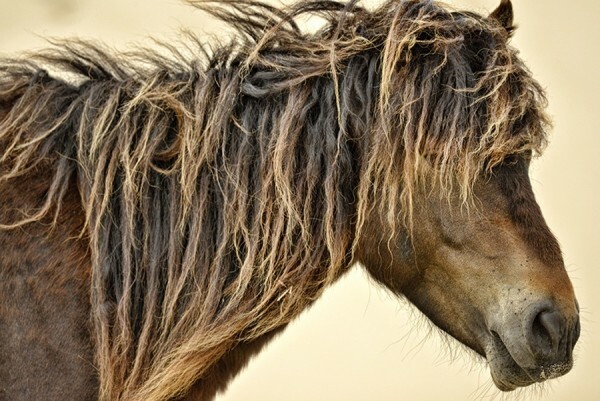 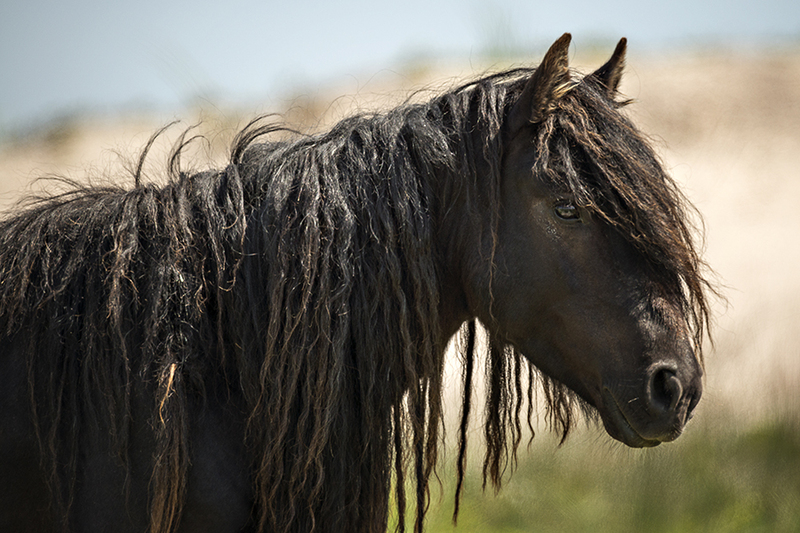 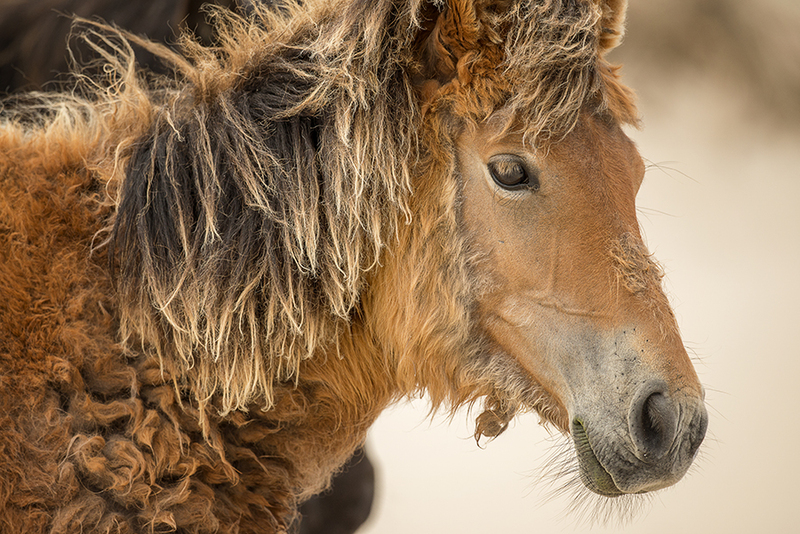 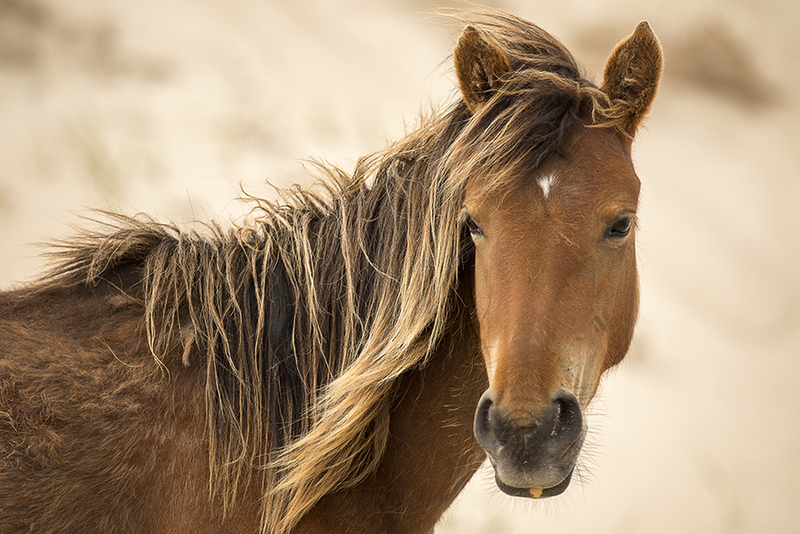 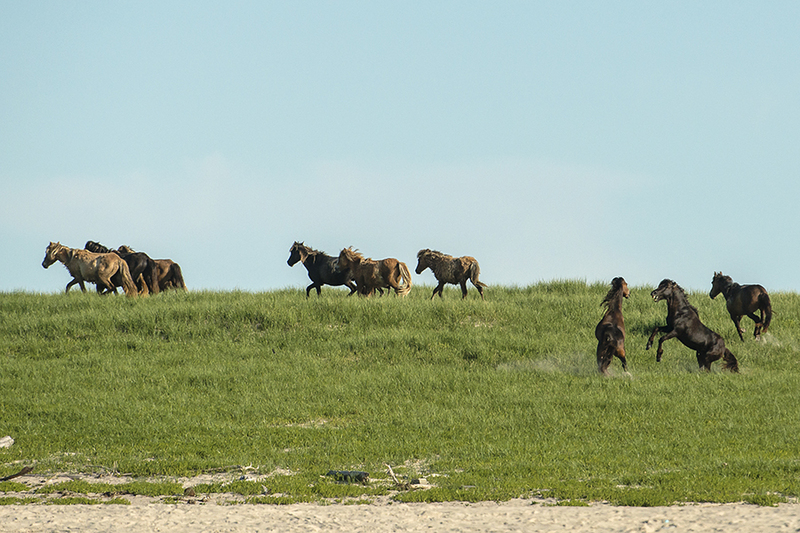 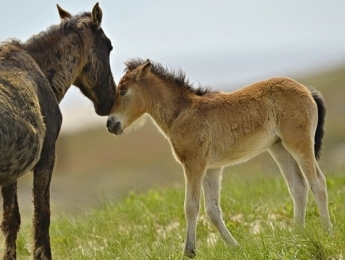 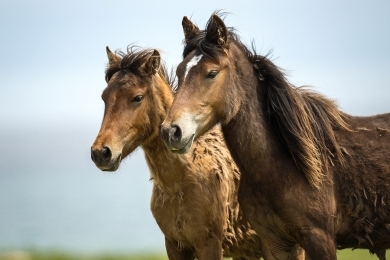 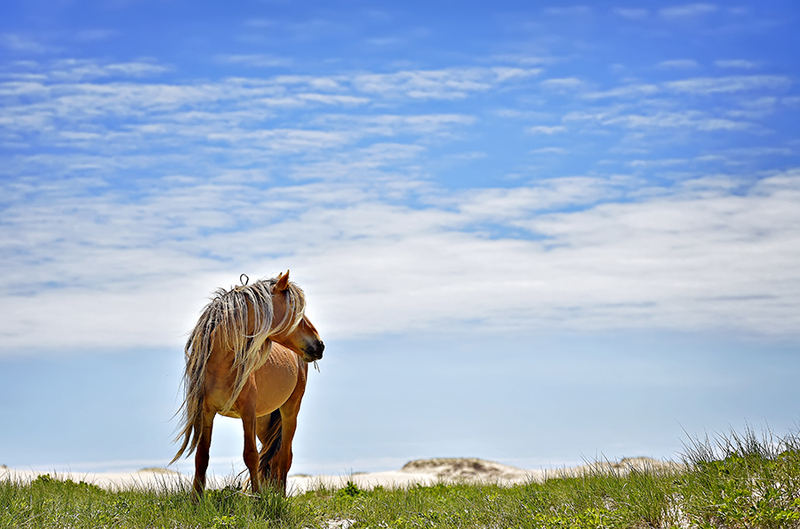 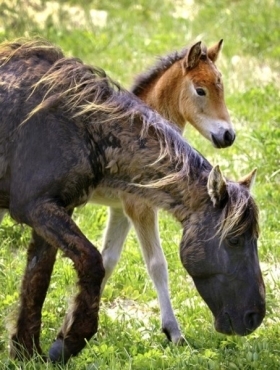 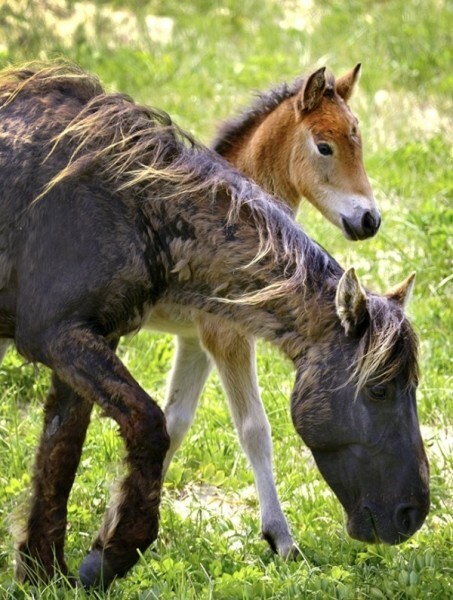 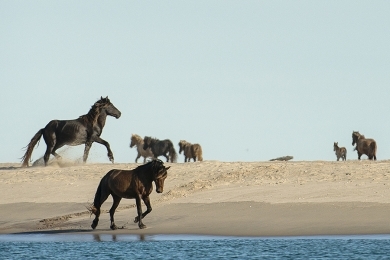 Click on a gallery below to view the majestic Sable Island horses in the wild.